Now there's no need to pay for expensive holidays - just put on the HMD! Awesome! Man I hope they havd waiting in long lines. And last but not least Time Share siminars for free tickets! Hmm....$34.99CDN.....May wait till it’s on sale. I was thinking much the same - these kind of games don't have a lot of value to me - I'd primarily buy it for the kids. I'm weak and slightly bored this evening - and the first reviews are great - so I bought the game. I blame Paradise Decay It's just 1.14 GB download. The game is running great - I get solid 90 fps using super sampling 2.0. There're no video settings in the game, so super sampling is the only option to improve graphics. The game is teleport only - graphics look like Windlands 2, but way more simple. I'm not that impressed so far - maybe my 7 year old son will like it. The game is super-polished though. Over here it's 11:50 PM, I won't be able to test the game more before tomorrow. Don't you love it when long-awaited games just release all of a sudden, with no warning? Was expecting this to come out as a Quest launch title, so releasing a few weeks(?) early on Rift is a surprise. Interesting. Watched the latest JackSepticEye video about this....and he is the voice of one of the characters. Wonder if you'll have to buy it again for quest? Definitely feels like a game for Quest - not sure the reduced levels of polys and lack of true textures make this a Rift game - probably the game's more designed for PSVR (and maybe Quest). Right now I'm just focused on the technical aspects - I have no idea if the game could be ... fun? Then again, who cares about gameplay these days (Then again building stuff in sand and playing simple games on the beach with a ball don't feel like something that adults with age-matching cognitive abilities should do for many hours... 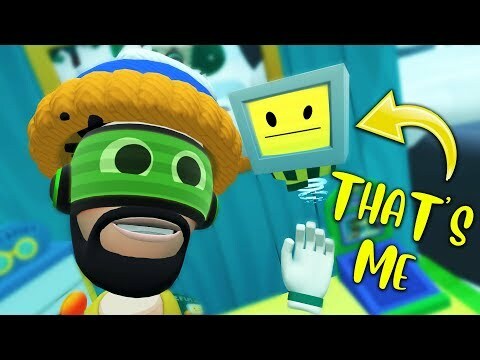 I got the impression that this game may be better suited for young kids). I bought Job Simulator. 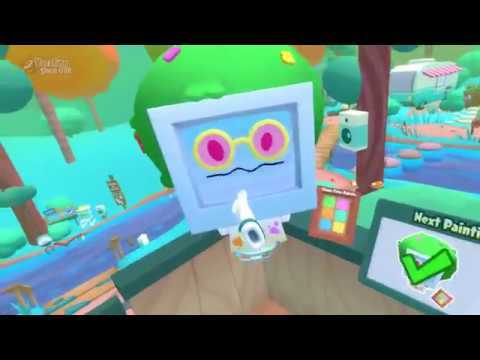 It was cool as a first VR game but it's not interesting as a game. I don't see the appeal. Rick 'n Morty and Accounting+ are much funnier and cooler that's their appeal. Kids would much rather play Marvel Powers United. I'm a couple hours into my VR Vacation (VRcation?) now, and having a blast. Taking a break to get some laundry done, before I hop back in. So far I've only goofed around the Hotel(?) area and tried out (but not fully exhausted) the activities in the main beach area. 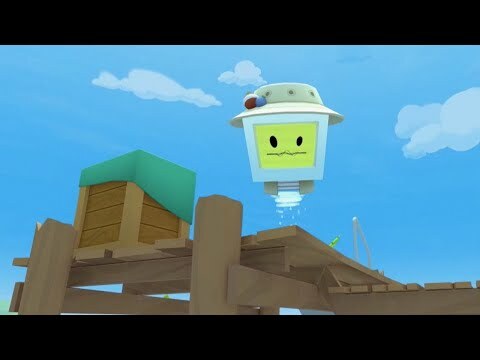 Haven't checked out the Diving sub-area, or anything in the Camping / Mountain zones, and that's making me think that Vacation Simulator has significantly more content than Job Simulator had. Anyone who liked the original will absolutely love the sequel. 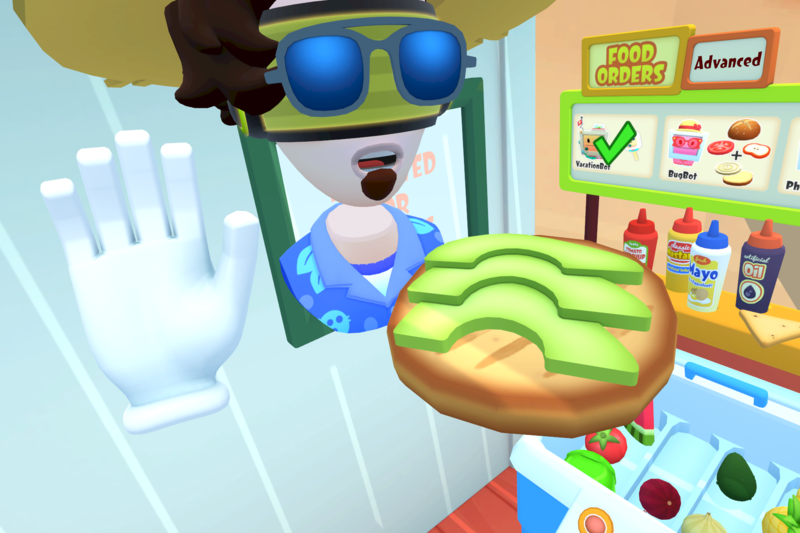 Also, I made Virtual Avocado Toast. Because why not. Hmmm, 96 % average rating based on 23 ratings - don't people understand that teleport movement and no way to turn using the thumb stick need PUNISHMENT? My girls are 7 and 9 (soon to be 10) - how do your boys cope with all the spoken english? Well that varies. Variation has a lot of variables. 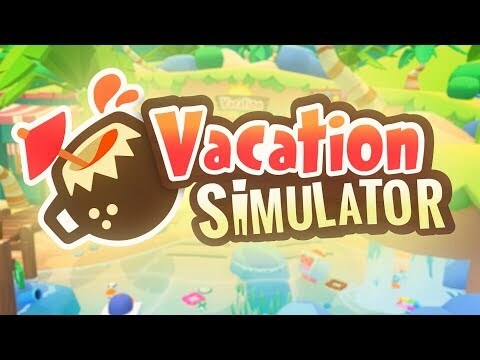 You're absolutely right that all the talking in Vacation Simulator is a great problem for kids who do not speak English, the devs really should consider translating the game to other languages. Summer Fun Land works much better due to almost no language skills required. Most instructions seem to be when you enter one of the 3 levels, so it's not that bad. Many tasks are self-explanatory - and you can prepare food many places (requires no instructions). Personally I bought the game, tested it myself for 30 min, then I let the youngest play it for about 1 hour - so there was still time to get a refund. Well, playing Job Simulator was an endless loop of "Hva' ska' jeg nu?" 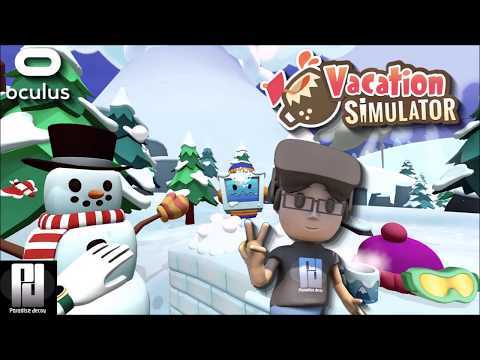 Vacation Simulator is more: "Das ist so toll! Der perfekte Urlaub! - Ich will immer hier sein!" Hope my spelling is correct, you're from Germany right? Nine year old daughter's rating of her dad, who doesn't lets her play Vacation Simulator: 2/10. Nine year old daughter's rating of her dad, who lets her play Vacation Simulator: 10/10. Of course that means you'll no longer be able to use the Rift much - time for some Netflix? 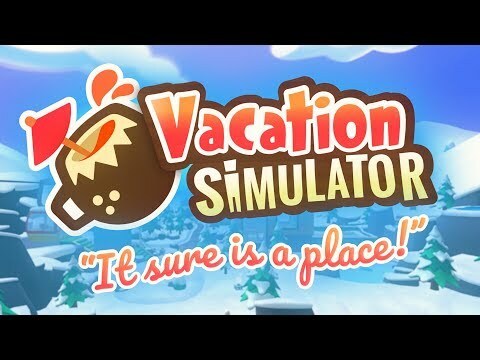 Fun observation - there're no god rays in Vacation Simulator. Either that's just awesome design, or the devs are just lucky that the bright colors and backgrounds don't (or extremely rarely) cause any god rays. BTW, be careful when playing ball on the beach with the robot - I just knocked out one Touch controller against the ceiling. Had to take out the battery and insert it again, now the controller works again - phew! I've also heard that you can have fun skipping rocks in the game - anyone got 7 or better? My high score in the rock-skipping game is 8, but I only managed to get it that high once. Totally unrelated, you can skip your stone using the slingshot, too! The painting mechanics are pretty nice. 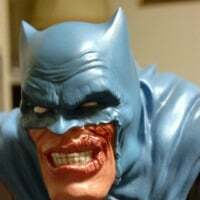 I like how you can use photos as the base.. or even dip your brush into a magic photo-colored spot to paint bits of it over whatever else you're doing on the canvas, lol. Apparently I've enjoyed this game for over 8 hours now! Tried out all of the activities at least once, but haven't 100% completed all of them. Sadly, I've run out of cooking tasks to do; Clearly my favorite of all the activities, and I was kind of hoping that even after I got all the memories, there'd be like.. randomized tasks available just for the heck of it. Like the "Infinite Overtime" mode in the original. But I guess nothing is stopping me from just making random food items for the heck of it, huh? Anyone want a (screenshot of a) sandwich, or anything? 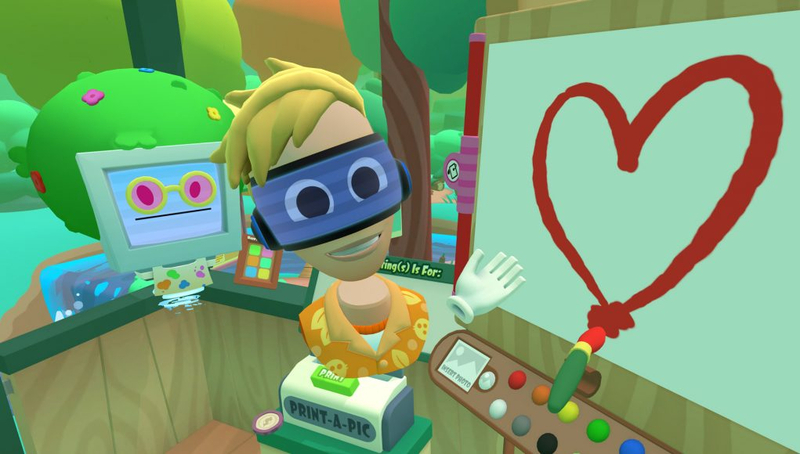 I guess there are also a number of actual VR cooking games out there for me to buy.. anyone have any favorites?